If you enjoy shopping and local artisan flair, then San Antonio has what you need. We offer mom-and-pop shops, artistic venues, boutiques, spas and specialties across the city. There are multiple destinations to visit… each boasting a distinct personality and each offering its own flavor. Get out and pamper yourself while enjoying the local scenery. You love your pets and we know that, if you’re researching pet food, it’s because you want your pets to have the very best. 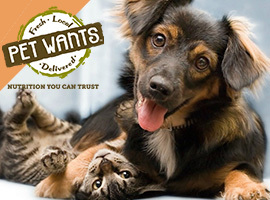 At Pet Wants of North San Antonio, our carefully developed proprietary pet food is slow-cooked with fresh, all-natural ingredients and made once a month to ensure that every kibble is fresh and packed with nutrition. 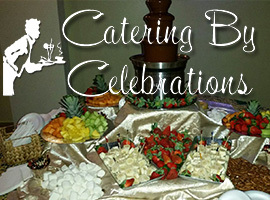 At Catering by celebrations, our sole purpose is to make sure that your big day is an unforgettable one for you and your guests. We offer a variety of services for your big day including but not limited to Catering, Dessert Cakes, Linen rentals, Bar Services (TABC Certified bartenders), an In-house D. J., Lighting and even Furniture rentals. We would love the opportunity to serve you.